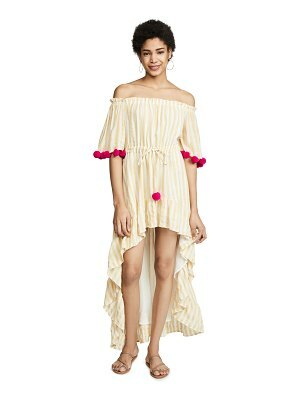 A drawstring cinches the loose silhouette of this airy gauze romper. Spaghetti straps. Semi sheer. Fabric: Gauze. 100% cotton. Hand wash. Made in the USA. Measurements Inseam: 2in / 5cm Measurements from size 1.